At 3:45 a.m. in the morning on February 7, 1986, Haitian dictator Jean-Claude “Baby Doc” Duvalier boarded a U.S. chartered plane to take him into exile in France. In response to the news, the joyous Haitian people took the streets to sing the chorus of Jean-Michel Daudier’s “Lè m’ pa wè Solèy la” (“When I Can’t See the Sun”). 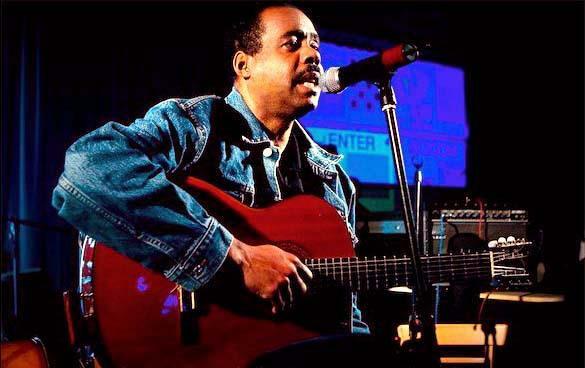 Daudier wrote the song after the Duvalier regime closed the popular Catholic station Radio Soleil on December 5, 1985 for broadcasting news that was alleged to have disturbed the peace. The station denounced the killing of three students by Duvalier’s tonton macoutes police forces in the northern city of Gonaïves a week before on November 28. These two incidents—the murder of the students and the closing of Radio Soleil—together proved to be catalysts that incited the uncontrollable social turbulence that would drive Baby Doc out of the country just over two months later. Journalist and historian Suzy Castor calls the killings of Jean-Robert Crus, Mackenson Michel and Daniel Israel, who were only bystanders at a church protest again poor living conditions in Gonaïves, “el elemento detonador,” the trigger element that marked further rebellion to protest not only the killing of citizens, but also use the platform to demand other civil rights while living under the poverty line in a brutal dictatorship. As for the closing of Radio Soleil, it symbolized that Haitians could not even voice their anger over blatant, indefensible acts like the killings of the students. This refrain spoke for many who felt their livelihood sapped under Jean-Claude Duvalier. By calling the station a divine gift, he aligned the song with the sentiment of liberation theology that the Catholic Church preached in Haiti before Duvalier’s exit. Any restriction to the station’s message is an act clearly against God’s will. Daudier’s song partnered the oppressed community with the most outspoken church institution of Radio Soleil. He made a clear distinction between good and evil, implicating Duvalier as an obstructing force against popular access to God’s gift. After the closing of Radio Soleil, Jean-Michel wrote “Lè m’ pa wè Solèy la,” recorded it onto cassette and brought it to the ransacked station with little expectation that it would be played. His song was an individual act of protest against the event that started the crisis of events and reciprocated support for the station, an important institution that provided him moral support. When the station did reopen on December 30, DJ Papa Djo played the song as its first broadcast, acquainting its listeners for the first time with what would become their song for its democratic moment little over a month later. Once back on the air, the station played “Lè m’ pa wè Solèy la” with the hourly frequency of a radio station “jingle,” though it meant much more than just the commercial sense of the word. It was recorded from the radio, passed around on cassettes and became a song of unity and dissent at large events soon after. Protesting groups organized by the church in the three cities had a song to rally around. Though the station was back on the air, the song came to symbolize the empowering crisis had to shifted the power structure to those who sang it. 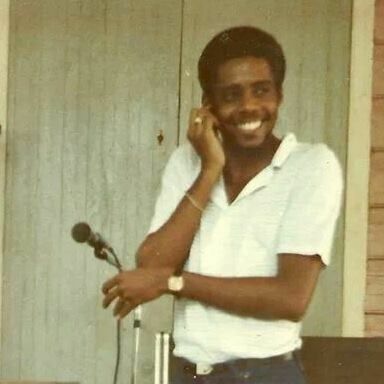 In mid-January 1986, Daudier attended a concert by Louisiana-born evangelical singer John Littleton in Port-au-Prince and, following the concert, heard crowds singing “Lè m’ pa wè Solèy la.” He feared that this might incite trouble and left the event, fearing a reprisal by Duvalier’s forces. This proved to be accurate as many were detained and disappeared following the event. After hearing “Lè m’ pa wè Solèy la,” an angry Baby Doc asked around to find the identity of the singer. Fortunately for Daudier, his friend Manno Gefrard, who performed in a guitar trio around Port-au-Prince that Duvalier liked, kept silent. This time, Baby Doc could not place blame on anyone specifically, something his father always managed to brutally execute. Within a month, protests throughout the country adopted his song in their dissent. The song resonated for its relevance to the closing of the station, but became an anthem that accused Duvalier of restricting access to what that the “sun” and denied the livelihood of his constituents. On January 26th and 27th in the northern city of Cap-Haïtien, students occupied a church, chanted the chorus of the song, and demanded the removal of Duvalierism. “Nou pa vle wè machin sa yo” (“We don’t want to see the machine any more”) was another chant that referred to his regime as a destructive machine that needed to go. The government responded by killing another three protesters, fanning further unrest that would help fulfill their removal of the machine just over a week later. Under Daudier’s refrain, empowerment became more visible and demands were more severe than just more access to free speech – they were emboldened enough to call for Jean-Claude’s removal. An estimated 40,000 of the town’s 65,000 citizens are reported to have been protesting. The city is 250km away from Port-au-Prince and is geographically isolated from other areas, which has traditionally made it a hotbed for political dissent. The widespread reach of Daudier’s song in such a short period is notable in a city that most likely had never heard a Radio Soleil broadcast, notable feat in less than a month of its introduction to the movement. The song became understood as a symbol of an empowering moment through shared suffering that could once again unify them against Duvalierism, regardless of their access to the station’s message. These events precipitated Duvalier’s exit and caused him to reshuffle his government once again. On January 26th, he declared that he would disband the behind-the-scenes “political police,” then appointed new officers to the military, and offered a 10 percent decrease in the price of state-controlled goods to quell the unrest. The protests continued, but he believed that he was “as strong as a monkey’s tail,” which became his famous, albeit inaccurate, declaration of his strength after declaring a state of siege on February 3rd. He may have actually believed this, but did not learn from previous mistakes and once again closed and padlocked Radio Soleil two days before he left in exile. His clinging to old tactics visibly did not work and only exacerbated the crisis he caused on December 5th. Following the news of his exile on February 7th, citizens reopened the studio and chanted “Hail God’s radio,” while all other radio stations repeatedly played his song, creating a dizzying sonic moment that captured the gravity of what had just occurred. The song initially written to serve as a protest against the closing was transformed into a surreal anthem that led to the fulfillment of God’s will. A New York Times article from February 11 credited him as Jean Michel Gauthier (sic), the composer of the song that was sung by “a mighty chorus of thousands of voices.” The accompanying photograph to the article pictured a celebratory mass with about 10,000 Haitians in Gonaïves, the city that became the focal point of the movement to overthrow Duvalier. The media depiction accurately shows the moment that Haitians truly viewed as a religious event, which Daudier’s song punctuated. By partnering his song with this emboldened institution’s main mouthpiece of opposition, Radio Soleil, Daudier’s words became a divinely inspired message that spoke for Haitians as an appeal to the Catholic deity. The use of religious message was important for the movement and his song became spiritual for many Haitians. Though this moment hoped to initiate democracy, the period following fell into the hands of the military. It was, however, a fulfillment of newly empowered civil society’s desire for change that came through the Catholic church’s mobilization and Duvalier’s failure to contain civil society. The February ouster of Duvalier proved to be a moment of democracy, the fulfillment of the unrest that the series of crises initiated by the closing of Radio Soleil and inspired by his “Lè m’ Pa Wè Solèy La.” His song’s influence on this event led to an increased amount of exposure for his musical career. Although the station withheld his name for his safety until the hope for change came, he began to enjoy a busier musical career in Port-au-Prince. Before this exposure, he worked as an accountant and performed at small events on weekends. Following the fall of Duvalier, he performed weekly at Petionville’s Badoufou Club and recorded a full-length LP Soley La (Shap Musique 1) produced by Raoul Denis Jr. and Mushi Widmaïer, well known Port-au-Prince musicians and producers from the jazz-funk influenced “School of the New Generation” group Zèklè (“Lightning”). Included on the album were optimistic songs sung in French like: A Quand le Prochain Soleil? (When Will the Next Sun Come?) and Je veux être un artiste (I Want to Be an Artist). Specifically for the singer, it seemed like a bright day that would certainly lead to change in the country. This new exposure as a singer came as a blessing with new, unexpected pressures by the old tactics of authoritarianism. After performing at shows, he had constant encounters with military forces after curfew hours. Daudier at this point was not completely anonymous and he could be recognized as an agitator by the military regime in power. He underwent random stops and screenings, with military forces often searching his car in search of weapons or incriminating materials. A government under the military showed the legacy of the long dictatorship and Daudier felt that very little had changed. He expected change during that period, but lived through harassment and observed discouraging events that were clearly hostile to democracy. In 1988, he lived in Port-au-Prince during the event that became known as the St. Jean Bosco Massacre, where former tonton macoutes opened fire on the church of future President Jean-Bertrand Aristide, killing a large, unspecified amount of citizens. 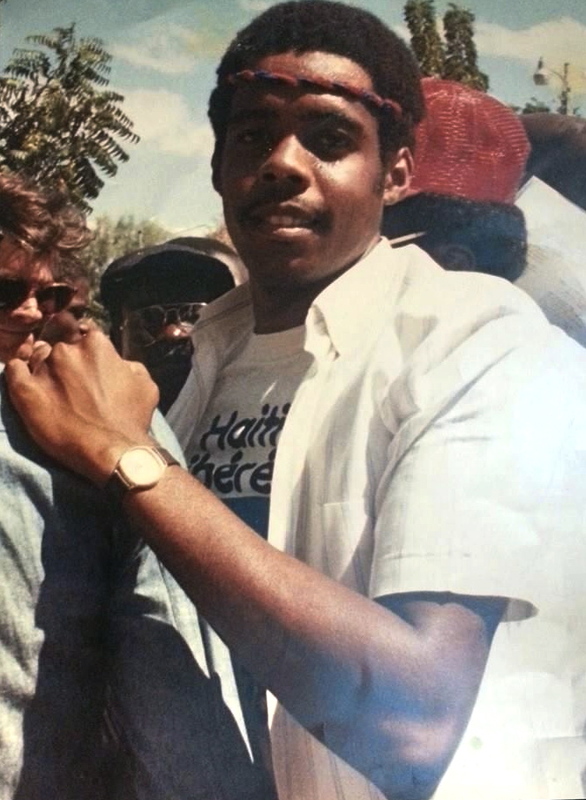 Frank Romain, mayor of the city at that time, was even a former tonton macoute officer. Such a discouraging reality darkened life for him in Haiti. The moment that promised much realized very little change for individual freedoms in the country, despite efforts in the dechoukaj period, which only made nominal gestures to removing the roots of Duvalierism. Institutions that bore Duvalier’s name were changed, and the black and red colors of the Haitian flag changed under the first president were reverted back to pre-Duvalierist blue and red. There was also an increase in public criticism against Duvalierists, some of whom remained in powered or exited the country peacefully. There were also retaliatory acts of violence against the terrorizing tonton macoutes, but nothing realistic to shift toward a change in governance. Daudier’s desire to be an artist seemed impossible in his home country. 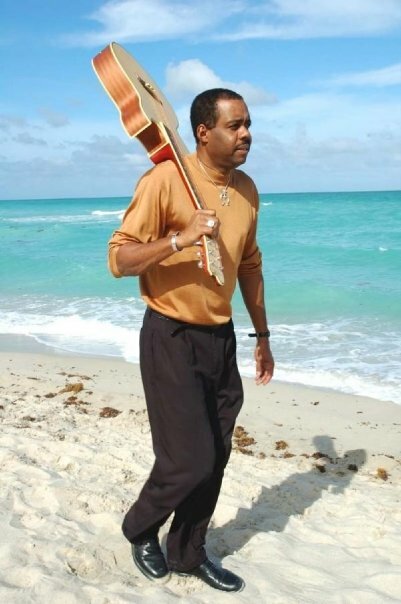 By 1989, he decided to leave the country to join his mother in Queens Village, NY and pursue a career accountant and musician abroad. He later moved to South Florida. His song remains an anthem of hope. Certainly the legacy of the song outshined the failure of the dechoukaj period and continues to remain as an important message in tumultuous times. It is forever a call for the realization of divine will in Haiti that will only be inspired by action. The artistic and transcendental hope that the song summarized is put into words by Haiti playwright and poet Syto Cave: “One day the sun became the song that you gave to us on the radio. Our children learned it and now we celebrate a new season, one in which men like you will help come about.” Cave highlights the need for continued action, but credits Daudier for his contribution that empowered action evident in Duvalier’s exit. This feeling is still present today as Haitians mourn the passing of the artist on October 14, 2013. 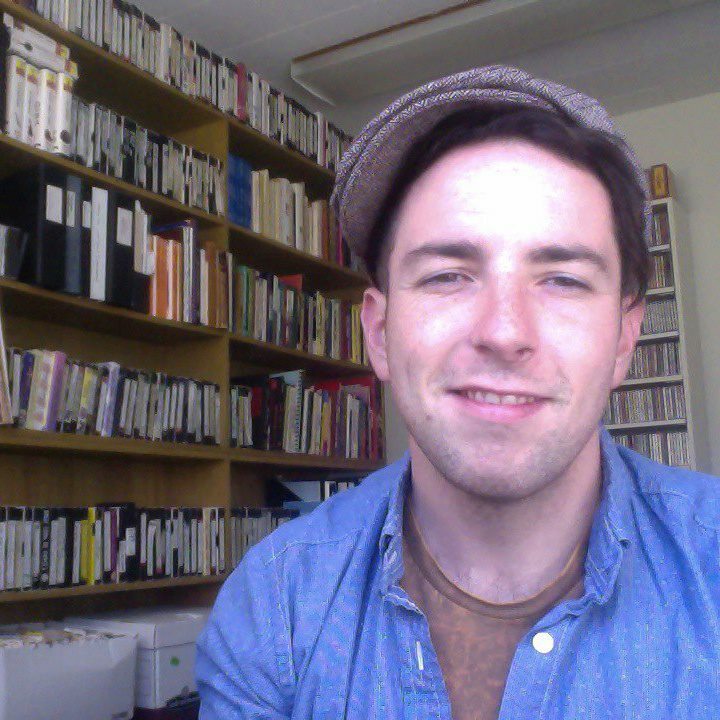 Kevin Mason is a Ph.D. student in Ethnomusicology at the University of British Columbia. His dissertation research focuses on the Mouvman Sanba, the roots music subculture that took off in Haiti after the ouster of Jean-Claude Duvalier. He is the host of the weekly program “Lakou Miami” onMizikpam.com broadcast live on Sundays at 12pm as well as “African Vibes” on Vancouver Coop Radio 102.9 FM CFRO. Averill, Gage. A Day for the Hunter, a Day for the Prey: Popular Music and Power in Haiti. Chicago: University of Chicago Press, 1997. Brooke, James. “Thousands Celebrate Ruler’s Fall in Haitian City,” the New York Times, February 11, 1986. Castor, Suzy. “Haití: de la ruptura a la transición,” Nueva Sociedad, 82. Mar-Apr 1986. 54-63. Diederich, Bernard, and Al Burt. Papa Doc & the Tontons Macoutes. Princeton, NJ: M. Wiener Publishers, 2005. Dupuy, Alex. The Prophet and Power: Jean-Bertrand Aristide, the International Community, and Haiti. Critical currents in Latin American perspective. Lanham, MD: Rowman & Littlefield Publishers, 2007. Fatton, Robert. “Haiti’s Predatory Democracy and the Vicissitudes of a Historic Compromise.” Black Renaissance, Spring 2004. 203. Fatton, Robert. Haiti’s Predatory Republic: The Unending Transition to Democracy. Boulder, CO: Lynne Rienner Publishers, 2002. Greene, Anne. The Catholic Church in Haiti and Recent Political and Social Change. Thesis (Ph. D.)–American University, 1990, 1991. Mapou, Jan. “Ochan pou Jan-Michel Dodye,” Kreyol: Tigout-pa-Tigout, Haiti-Observateur, June 20-27, 1986. McAlister, Elizabeth A. Rara! : Vodou, Power, and Performance in Haiti and Its Diaspora. Berkeley, CA: University of California Press, 2002. Nicholls, David. From Dessalines to Duvalier: Race Colour, and National Independence in Haiti. Cambridge [Eng. ]: Cambridge University Press, 1979. Pierre-Charles, Gérard. “El fin del duvalierismo en Haiti.” El Caribe Contemporáneo, 12. June 1986, 59-70. Smith, Jennie M. “Singing Back: the Chan Pwen of Haiti,” Ethnomusicology, 48:1, March 2004. Taylor, Patrick, “Anthropology and Theology in Pursuit of Justice,” Callaloo, 15:3, July 1992. I lost a good friend and the country a loving son.